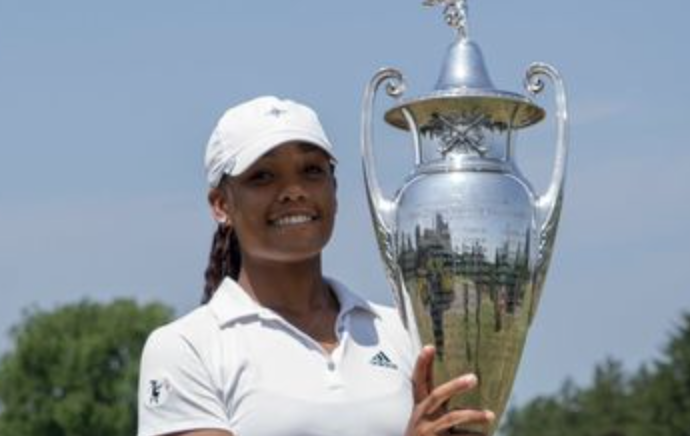 The club in New Hartford hosted the 89th New York State Women's Amateur Championship, as well as, the 10th Women's Mid-Amateur Championship, spanning from Wednesday and finishing up on Friday. The best female amateur golfers from around the state hit the course for 54-holes of stroke play over the course of the three days to determine the champion in each division. Kyra Cox of South Salem won the amateur division, while Jenna Hoecker of Rochester took home the Mid-Amateur division title. Lauren Cupp, the Hamilton College men's and women's golf coach and Yahnundasis member, also participated in the tournament. She tied for the runner-up position in the Mid-Amateur division. "It feels great, this is my second time winning it, I won it my first time in 2015 and it feels great," said Cox. "I had a really tough beginning to the season so to come out and play in a field like this, it's awesome." "It feels great, this is my first year playing in the Mid-Am," said Hoeker. "I won the Amateur in 2013 so it's a little different playing in the Mid-Am, different competition but it was a lot of fun." This tournament was another great way to put the Yahnundasis at the center of the golf world's map. "It's great to have the New York State Golf Association along with the USGA wanting to have their events here," said Yahundasis Director of Golf Operations, Todd Riolo. 'Having the women here now, is a great opportunity again with the little kids coming on June 22nd, it's a great opportunity to host these events and brings a lot of exposure to the local community, local golf community."